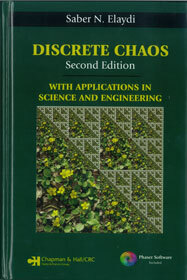 This book now includes many recent results on global stability, bifurcation, chaos, and fractals. The first five chapters provide the most comprehensive material on discrete dynamical systems, including trace-determinant stability, bifurcation analysis, and the detailed analysis of the center manifold theory. This edition also covers L-systems and the periodic structure of the bulbs in the Mandelbrot set as well as new applications in biology, chemistry, and physics.